I think that describes my overall thoughts about ButaPub better than I could have! Let’s dive into the parts of the menu my wife and I have sampled to give you a better idea of why I feel so strongly about their food. 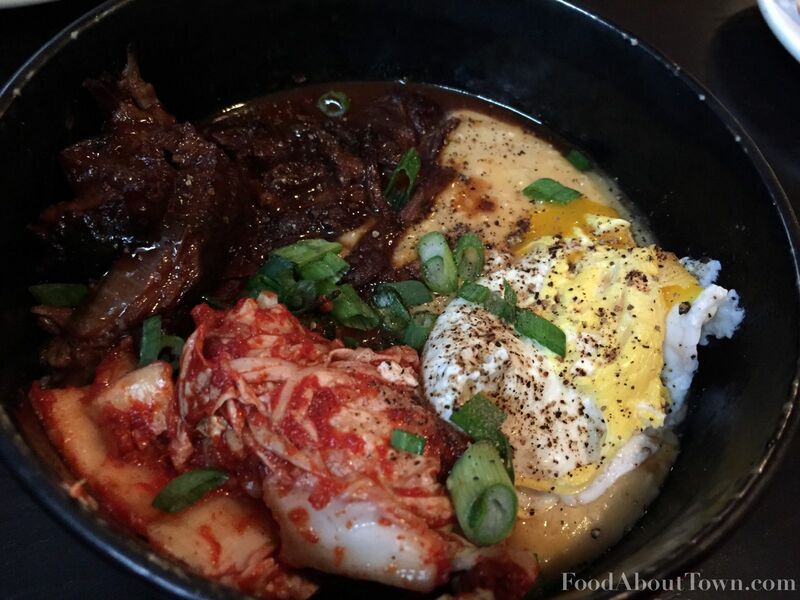 Our first couple of visits fell during their preview period but the food we had was so solid that I don’t have any qualms about including it as part of this review. 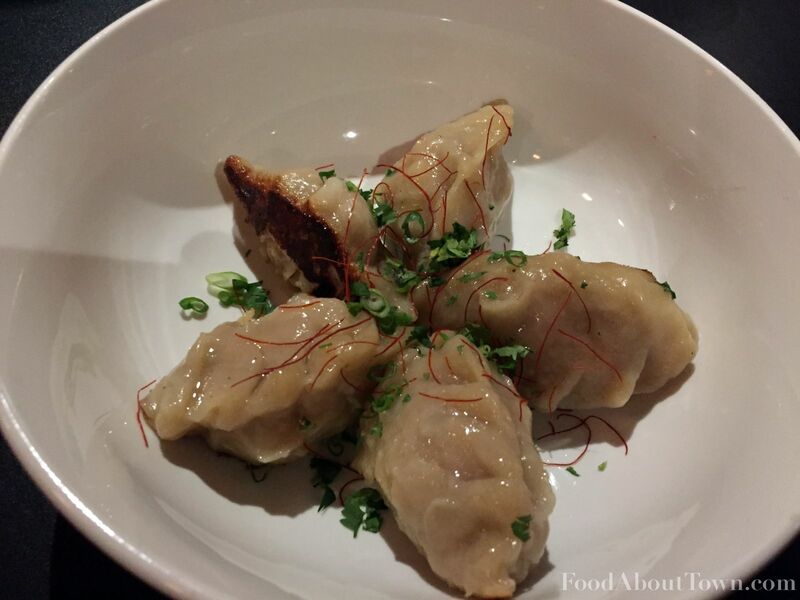 The first bites we tried were three appetizers that served as a benchmark for what they stood for: pan fried dumplings, pork belly steamed buns and chicken wings. All three stood right among the best of each in Rochester but I think the best of them was the pork belly buns. Perfectly crisped pork belly in a steamed bun topped with house pickled cucumbers and togarashi mayo had both the textural, acidic and slightly spicy contrast that I absolutely love. 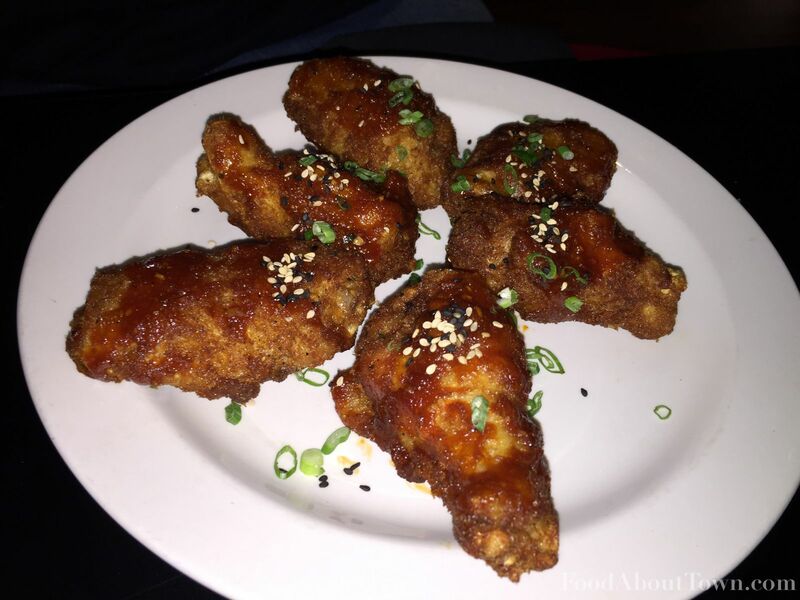 The Korean fried chicken style wings were lightly breaded, extra crunchy and a salty, sweet and spicy combination that left me wanting more. The wings were also perfectly juicy and tender on the inside which was great to see. The dumplings were house made and came out with a hard sear along with a meaty pork filling and a solid dipping sauce. They weren’t mind blowing but they had no obvious flaws either leaving us perfectly satisfied with them. Really liked the hot pepper thread addition as well. A preview brunch visit involved a banh mi and a bowl of ramen that were both good but dishes I expect will be better the next time I try them. The crusty baguette from the nearby Dragon Sweetie Bakery was well suited for an upscale banh mi and the house pickled accoutrements brought the freshness and brightness I expect. It has been a little while but I remember the chicken being well grilled and tender as well. Good stuff. 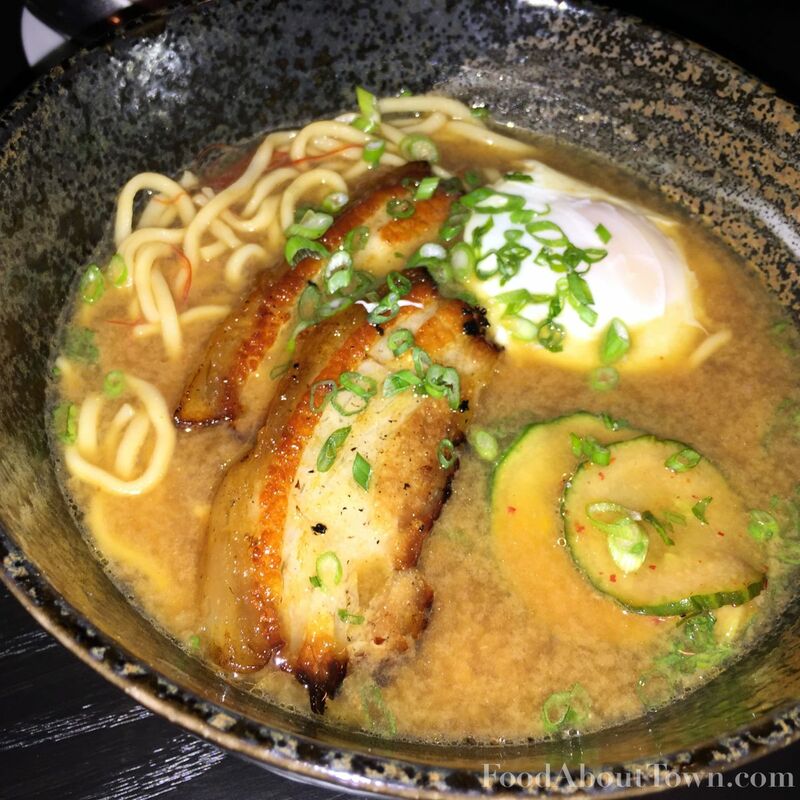 The ramen at the time (I believe it was a miso based broth but I’m not sure now) was a touch imbalanced with some of the pickled ingredients and ginger but it did have some great depth of flavor. I know they have started to make their own noodles since then and are serving a mushroom-soy and miso-chili on the base dinner menu. Since they’ve opened officially, we stopped in one other time for a brunch meal that included the kalbi and grits, sriracha and pork belly benedict and a side of pork belly hash. This was a grand slam of a breakfast I can get excited about! The Korean style braised short rib and cheddar grit dish was a true rib sticker and required two meals to get through. The kimchi played well against that richness and kept the dish lively. The hollandaise sauce on the benedict had a pleasant light spice kick from the sriracha and the pork belly was cooked perfectly. The ramen cakes used in lieu of the traditional English muffins was an interesting choice, but I think I prefer the ability of the muffin to absorb sauce and runny yolk. The hash was nicely salted with nice depth and the pork belly studded throughout was a good fit. 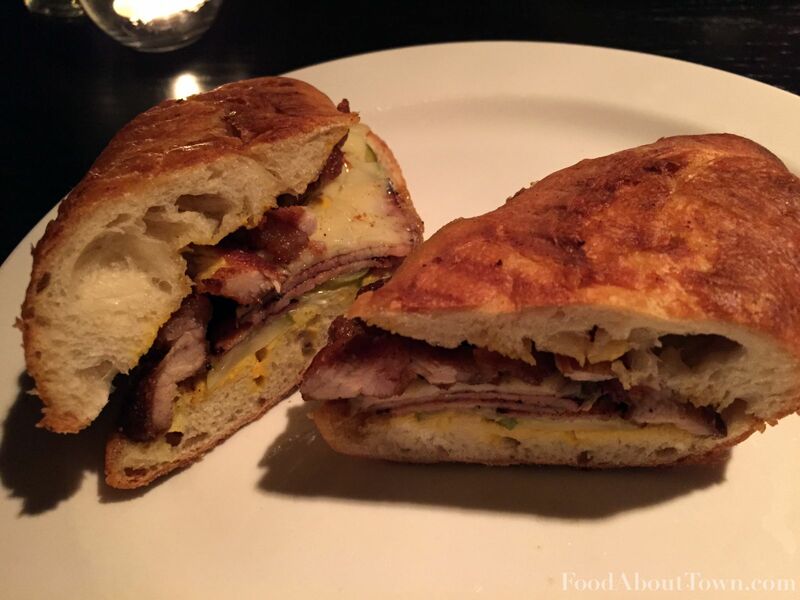 More recently we tried out ButaPub’s takes on biscuits, fish and chips and their Cuban sandwich. These stuck quite close to my understanding of traditional versions with a few twists that I really enjoyed. The cheddar biscuits were a spot on play off of the Red Lobster cheddar bay biscuits and amped up with a fantastic caramelized garlic butter. The biggest disappointment out of everything we’ve had so far was the cornmeal crusted catfish and fries mostly due to the over crunchy and underseasoned crust. The fish was amazingly moist but that lack of salt and other flavorings kind of tanked the whole dish. On the other hand, the Cuban immediately became one of my new go to sandwiches in town. Using roasted pig head pieces in lieu of the typical pork loin was a delicious substitute and the rest of the sandwich was made with the traditional accoutrements of yellow mustard, pickles, ham and melted cheese. It was pressed nicely and since they used a crustier bread the crunch was audible when biting in. Loved it! I can’t say I’m anything less than impressed by the overall level of the food at ButaPub. The level of execution so far has been quite high and what I’ve tasted has only made me more excited to see what else they are going to take on next. I mean who can’t get excited about a half roasted pig’s head for a group or a whole Korean fried chicken? Not only are there interesting dishes, but their dedication to making components in house makes sure that even relatively simple dishes stand out. 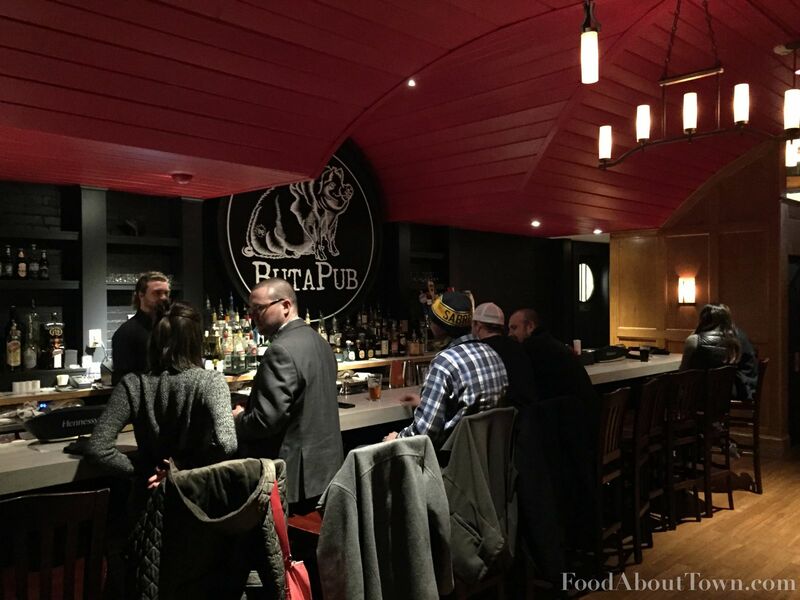 If you haven’t been yet, ButaPub is a must try for anyone who loves food done right. Congrats and best of luck to the team there! sounds like i ordered the wrong stuff when i went. the house made noodles are terrible and the kitchen doesnt seem to know how to cook them – my first bowl came out with the noodles almost raw and i had to send it back. when it did come back, the noodles were cooked, but still very bad. like a super dense spaghetti noodle, not at all the bouncy springy noodle you want in ramen. i also had the lettuce wraps, and the steak and other fillings were good, but the lettuce was totally wilted, making for a dismal eating experience. i understand having an off night or something but when i find myself paying premium prices for food that never should have been allowed out of the kitchen it really makes me question the whole enterprise. That’s too bad Ron. When i was there they were still using Sun Noodles for the ramen so I haven’t tried the house made ones yet. Does sound like an off night based on the experiences I’ve had so far though. Can’t defend those specific dishes but I’ll say that I think it’s worth trying again. Nice review, I’ll add BP to my non-pizza to-do list.